Found just today: The campaign website of Joseph Robert Papavero, candidate for the countywide Keehan vacancy. I've added this link to the list of candidate websites in the Sidebar. My thanks to Michael Emmett McGinnis, Democratic candidate in the 15th Subcircuit, for passing along Carly A. Mullady's January 31 story in the SouthtownStar about the crowded field in this South Suburban subcircuit. The SouthtownStar is a member of the Sun-Times News Group. The Pioneer Press article on the chain's website, dated January 30, names only those candidates who, for whatever reason, did not participate in the rating process, thereby drawing uniformly negative ratings from each of the Alliance members. No candidates receiving favorable recommendations were named in the article. The Pioneer Press is part of the Sun-Times news group. Note: This post consisted of just the link to the article for nearly the entire day today. In future, I will try and have my coffee before trying to work on the blog. Kristyna Colleen Ryan is a candidate for the countywide Murphy vacancy. My name is Kristyna Colleen Ryan and I am a candidate for Cook County Judge. A Judge must possess five essential qualities: fairness,impartiality, patience, wisdom and a solid knowledge of the law. I will exercise fairness and impartiality by brining no preconceptions or personal biases to any matters before me. 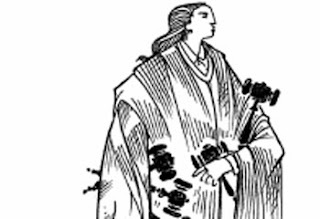 I will exhibit patience and wisdom by encouraging parties to settle their differences before lengthy and costly trials whenever possible, but when that goal can't be met, I will apply my knowledge of the law to render a just decision. If you believe in an impartial Judge, if you believe in a patient and wise Judge, if you believe in a Judge that has a duty to serve citizens with integrity by fairly applying the law, then you believe in me, Kristyna Colleen Ryan. Carmen Kathleen Aguilar is a Democratic candidate for the Shultz vacancy in the 4th Judicial Subcircuit. I am asking for your vote on February 5th of this year. I have been an Assistant State's Attorney here in Cook County for 17 years. I have earned an excellent reputation among judges, fellow prosecutors and defense attorneys for being extremely hardworking, fair, skilled and dedicated. I have extensive jury, bench, appellate and civil post-conviction litigation and research experience. I have become well versed in new scientific techniques such as DNA analysis while convicting murderers, rapists, and pedophiles. I have tried almost every kind of case you can imagine, including the trial and conviction of a serial killer last year. I am the lucky mother of three magnificent boys 6, 5 and 1, and married to, Steven Klaczynski, an equally hard-working attorney whom I met and fell in love with at the State's Attorney's Office 17 years ago. I have been found "highly recommended", "recommended" or "qualified" by every bar association that has evaluated me including the Chicago Bar Association which stated, "Ms. Aguilar has extensive trial experience and is well respected for her fine temperament, knowledge of the law, and legal experience." As a judge, I will work equally hard to apply the law fairly and efficiently. I will strive to remain up to date on the law and to never undermine the confidence of the public. Thank you for taking the time to read about my qualifications. 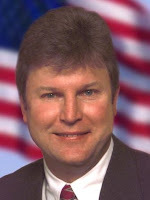 James E. Babcock, Jr., Republican candidate for the Ryan vacancy in the 13th Subcircuit read the Organizing the Data post I put together on his race and spotted an error. I received his email this evening. Babcock notes I mistakenly listed one of his opponents, Paul S. Pavlus, as receiving a "Recommended" rating from the Women's Bar Association of Illinois when -- and here's the twist -- I should have reported that Pavlus received a "Highly Recommended" rating from the group. I regret the error and I'm grateful for Mr. Babcock's correction. There are changes being made to each of the "Organizing the Data" posts as new endorsements come in. Also, there were some "holes" in the only Alliance grid available when some of the earlier organizing posts went up. I've begun the process of going back and filling in those blanks. I hope to complete this task in the next day or two. If you read such a post in the meantime, remember the last and final Alliance grid update is just a mouse-click away. Per email received this evening from Rich Whitehead, Chapter Secretary of the Northeastern Illinois Chapter of the Americans for Democratic Action, that group has endorsed the candidates of James A. Shapiro in the 8th Subcircuit. Illinois Citizens for Life (ICL) is a non-profit organization established in 1973. Its sole purpose is to defend human life at all ages, from conception to natural death. Through social work, education and lobbying, ICL works to secure the principle that all human beings are legal persons at every stage of biological development from conception to natural death, and as such, are entitled to the basic human right to life, irrespective of age, health, function, or condition of dependency. Illinois Citizens for Life has released this information sheet for the upcoming primary. Two Cook County Circuit Court candidates are rated "qualified" by the group. They are Stephen F. Sidlowski, candidate for the Kowalski vacancy in the 10th Subcircuit, and Cary J. Collins, Republican candidate for the Tobin vacancy in the 13th Subcircuit. Frank James Ryan is a candidate for the countywide Murphy vacancy. Judges must make decisions on issues like minor traffic violations, drunken driving, drug cases, civil lawsuits, violent crimes, divorce and family matters. The citizens demand that, good, competent, fair and honest people serve as our Judges. That is why I want to serve as a Judge and represent the public interest. I was raised in Chicago and learned the values of hard work and dedication that are so much a part of our proud community. These values gave me the foundation that I needed to succeed in the legal profession. I attended Northern Illinois University and The John Marshall Law School, in Chicago. For the last 27 years, I gained valuable experience practicing in all areas of the law representing hard-working men, women and families. I have served as a Village Prosecutor, worked as a Cook County Arbitrator and volunteered to provide free legal services at the Markham Courthouse. I am associated with the Illinois, Chicago, Will and South Suburban Bar Associations. I have served on a variety of local community boards and am active in St Alexander's Parish in Palos Heights. Being the father of three children, one born deaf, has taught me patience and perseverance to overcome many obstacles. Strong family values are extremely important to me. I am confident that my dedication, hard working values and experience give me the skills to be a competent, honest and effective Judge. I pledge to treat people fairly and with respect. Previously, the Illinois State Bar Association Standing Committee on Judicial Evaluations and the Asian American Bar Association have found me "Recommended" or "Qualified" for the office of Judge of the Circuit Court of Cook County. The Chicago Bar Association and the Northwest Suburban Bar Association have found me "Qualified" to serve as a Judge of the Circuit Court. For more detailed information please visit www.votefrankryan.com. I would appreciate your support in the Democratic primary election on February 5. P.S. In my race, I am the candidate with the most courtroom and trial experience! Stephen F. Sidlowski is a candidate for the Kowalski vacancy in the 10th Judicial Subcircuit. First, I want to thank the voters of the 10th Subcircuit. Over the past few months, I've had the HONOR of meeting/talking with HUNDREDS of you about many subjects, who I am, and why I'm asking to serve you as Judge. We've met at many churches, stores, and community gatherings I've visited throughout the North/Northwest Side and Northwest Suburbs. I've truly ENJOYED meeting you and hearing your concerns! With utmost respect to you, I now humbly seek your vote... because I AM the BEST choice in this race. I've been an attorney and PUBLIC SERVANT for nearly 19 years -- with an impeccable reputation for INTEGRITY, HARD WORK, and COMMITMENT to "doing the right thing" throughout my career. For years, I've handled THOUSANDS of complex cases in my various professional positions, ALL of which I approach consistently -- with diligence, thoroughness, and dedication to doing whatever it takes to resolve the matter in a way which demands JUSTICE be accomplished. As a former Assistant Public Guardian and Supervisory/Lead Trial Attorney, I fought for the best interest of THOUSANDS of abused and neglected children in CHILD PROTECTION Court. In my next role--as the 1st-Ever in the Nation "Professional Fitness Review Administrator" (for the Archdiocese of Chicago)--I was confronted with the awesome responsibility of investigating, removing, and supervising priests with credible allegations of sexual abuse involving minors. It was a daunting challenge. Nevertheless, I was one of the primary architects of a Program which became the MODEL for Church Dioceses throughout the United States! And in the midst of my administration of this TRAILBLAZING Program, the Church throughout AMERICA was rocked with the allegation of a scandal which threatened to shake the very foundations of the Church and its' millions of churchgoers...the late and HIGHLY-REVERED Cardinal Joseph Bernardin himself was accused of past sexual abuse of a minor! While many were shell-shocked and terrified about the implications...I ACTED -- with calm and JUSTICE. I had only 24 hours to determine if the safety of children demanded the Cardinal's immediate removal from ministry. I'm proud of my Endorsements -- including from outstanding Public Servants -- Lieutenant Governor PAT QUINN and (former) Public Guardian (now Judge) PATRICK T. MURPHY-- among other Organizations. The BEST Judge is someone who tells it like it is. In me, you'll ALWAYS have a "Straightshooter." I believe true integrity demands that you SAY what you MEAN and MEAN what you SAY...I humbly request your vote! Yes, another one found on the Internet: The campaign website of Michaela Nolan Ryan, Republican candidate for the Devlin vacancy in the 12th Judicial Subcircuit. I've added this link to the link of candidate websites in the Sidebar. 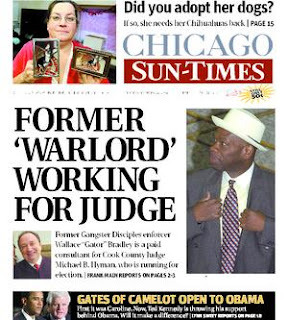 The Chicago Sun-Times weighs in this morning with its judicial endorsements. The paper's choices follow in a moment, but let me reiterate what I said on Thursday, when the Tribune endorsements were announced: While a free press must be free to write about what it chooses, it's a shame that our major Chicago newspapers choose not to cover Circuit Court primary races. Hundreds of thousands of people will vote for judges on February 5 -- many will know little or nothing about the men and women for whom they vote, but not because they do not want to know. If this blog has accomplished nothing else since last August, when I first started covering the upcoming judicial primary, it has shown that there is a great deal of information that can be found out about judicial candidates. Surely the Chicago newspapers could do a heck of a lot better job than a part-time lawyer-blogger. I only wish they would. Cook County prosecutors. Public defenders. Private attorneys. These are the backgrounds of some vying to become judges in what can be costly contests. We think that judges should be elected on merit, and not on the size of their war chests or who their political backers are. There are many races, and we highlight here several of the most competitive contests followed by a list of all our judicial endorsements. Judge of the Circuit Court (Nowicki vacancy): Two candidates stand out -- Brian Terrence Sexton and Michael B. Hyman. Judge Hyman is the former president of the Chicago Bar Association, worked as an assistant Illinois attorney general in the anti-trust division and then went into private practice for more than 25 years. Sexton is the supervisor in the state's attorney's gang crime unit and has been credited with improvements there. We endorse Sexton, who the Chicago Bar Association said "is highly regarded for his legal knowledge and ability." 4th Subcircuit (Shultz vacancy): Three candidates are worth noting, William Edward Gomolinski, Carmen Kathleen Aguilar and John M. Allegretti. Gomolinski was appointed a traffic court judge in 2007 and worked in private practice. Aguilar has been an assistant state's attorney her entire career and has extensive trial experience. Allegretti is the general counsel in the Cook County assessor's office and a former state's attorney. We endorse Gomolinski, who the Chicago Council of Lawyers praised "for his court management skills and for his temperament." 8th Subcircuit (Sheehan vacancy): The top three candidates are Ann Collins Dole, James A. Shapiro and Daniel Thomas Gillespie. Collins Dole, admitted to the bar in 1990, has been chief assistant corporation counsel in the torts division of the City of Chicago since 2002. Shapiro was appointed a judge in August 2007, worked in private practice and is a former assistant U.S. attorney prosecuting gun, drug, corruption and fraud cases. Gillespie was appointed an associate judge in 1988 and is well versed in civil and criminal law. We endorse Collins Dole, who the Chicago Council of Lawyers called a "model practitioner." 10th Subcircuit (Kowalski vacancy): The strongest candidates are Gerald Patrick Cleary, Ursula Walowski and James Edward Snyder. Cleary has practiced law since 1989 and has extensive civil jury experience. Walowski is an assistant state's attorney in the criminal division. Snyder was appointed a judge in 2007 and presides over bench and jury trials. We endorse Cleary, who the Chicago Bar Association said is "well regarded for his knowledge of the law, integrity and outstanding demeanor and temperament." 10th Subcircuit (Pucinski vacancy): The impressive candidates are Thomas Francis Biesty, Eileen O'Neill Burke and Kenneth L. Fletcher. Biesty is a supervisor in the criminal division of the state's attorney's office. O'Neill Burke is a former assistant state's attorney now in private practice. Fletcher was appointed a judge in January 2007 and spent most of his legal career with the Cook County Public Defender's office. We endorse Biesty, who the Chicago Bar Association said has "tried complex criminal cases and is well regarded for his fairness." 15th Subcircuit: The most impressive candidates are Anna Helen Demacopoulos and Thomas R. Mahoney, both of whom have spent their entire careers in the state's attorney's office. Demacopoulos is a supervisor in the narcotics bureau and has worked against police corruption. Mahoney is a deputy supervisor of the gang crime unit. Both are outstanding prosecutors, but we endorse Demacopoulos, who has a broader range of experience. • James E. Babcock Jr.
Herewith a list of endorsements made by Local 2 in Cook County Circuit Court races only. To find these endorsements, and the Fire Fighters' Union endorsements in other races, go to the union website and click on "Political Action" in the left pane, then on "Endorsed Candidates for Municipal Election 2008" in the right pane. That was the legendary motto of the old City News Bureau, once the proving ground for would-be Chicago journalists. I'm a lawyer blogging in my spare time, not a professional journalist... but I have tried, to the extent possible, to adhere to this standard in collecting and passing along information regarding the upcoming Cook County judicial primary. For example, when I've posted endorsement information, I've had confirmation of the endorsements from the endorsing group. The Fraternal Order of Police, Chicago Lodge No. 7, was kind enough to send me a list of its endorsed candidates as soon as they were approved by the group's board. The Chicago Federation of Labor posted its endorsements online, as did the IVI-IPO. I can't say that I'd ever heard of the Jewish Political Alliance of Illinois or the Italian American Political Coalition before this campaign started -- but they also published their judicial endorsements online and I have included these in my posts accordingly. The Illinois Committee for Honest Government -- another group with which I am unfamiliar -- did not have its endorsements on line, but sent me an email list of its endorsements and I've used these as well. Now I do not suspect the Shapiro campaign of overstating its case; I accept that Patt is accurately relaying information. But I'm still uncomfortable posting endorsements unless I can verify them independently. For example, back in December, when I asked the FOP for information about its endorsements, I also asked the Chicago Fire Fighters Union Local 2 if it would share its endorsement list with me. I never got a response. I've checked Local 2's website periodically since in the hopes of finding its list (I knew there must be a list -- I've seen a number of candidates claiming endorsement by the union) but I didn't find the Fire Fighters' endorsement list until this morning. Now I can add these in -- and I'll be checking on the other groups that Patt provided as well to see what else can be added. And that brings me to my final point: If you know of a group that has made endorsements for the upcoming primary and has published that list, please send me an email or leave a link or URL in the comments. An email last night from Frank James Ryan, candidate for the countywide Murphy vacancy, advises that he too has a campaign website. I have added this link to the list of campaign websites in the Sidebar and updated the "Organizing the Data" post for the Murphy vacancy accordingly. Also, although I hadn't mentioned it separately before, when Maureen Masterson-Pulia, Republican candidate for the Shultz vacancy in the 4th Subcircuit, submitted her "in her own words" statement, she also provided this link to her campaign website which I also added to the list in the Sidebar. John Garrett Maher is "Qualified" for the office of Circuit Court Judge. Mr. Maher was admitted to practice law in Illinois in 1993. Mr. Maher is regarded for his integrity and fine temperament and possesses all the requisite qualifications to serve as a Circuit Court Judge. John G. Maher has been a lawyer since 1993. Since 2002 he has served as a Cook County Assistant State’s Attorney working in the Gang Crimes Unit, where he deals predominantly with first degree murder prosecutions. From 2001 to 2002 he was in a private firm doing condemnation work. From 1999 to 2001 he was a contract attorney with Sprint Corporation and from 1993 to 1998 served as a Cook County Assistant State’s Attorney. Mr. Maher is considered to have good legal ability and is hard-working. Prosecutors and defense counsel praise him for his temperament and diligence. The Council finds him Qualified for the Circuit Court. Eileen M. O’Neill-Burke is “Qualified” for the office of Circuit Court Judge. Ms. O’Neill-Burke was admitted to practice law in Illinois in 1990. Ms. Burke has good trial experience and appellate experience as a former Assistant State’s Attorney. She is currently in private practice but keeps abreast of the law and has the ability manage multiple tasks. She has an excellent temperament for the bench and solid organizational skills. Eileen Mary O’Neill Burke has been a lawyer since 1990. Since 2001 she has been a sole practitioner doing misdemeanor and felony criminal defense work. From 1991 to 2000 she served as a Cook County Assistant State’s Attorney, where she had both trial and appellate experience. Lawyers report that she has good legal ability. She is diligent and hard-working and is praised for her professional demeanor. She is considered to be a zealous and fair advocate for her clients. The Council finds her Qualified for the Circuit Court. Joan Ellen Smuda is “Not Recommended” for the office of Circuit Court Judge. Ms. Smuda was admitted to practice law in Illinois in 1978. While Ms. Smuda has been a lawyer for 30 years and has a fine demeanor, she does not possess the requisite judgment, skills, and legal ability to serve as a Circuit Court Judge. Joan Ellen Smuda has been a lawyer since 1978. She was appointed to the bench by the Illinois Supreme Court in 1995 and served until 1996. Since 2001 and from 1990 to 1995, she served as an Assistant Attorney General for Illinois, assigned to the Revenue Litigation Bureau. 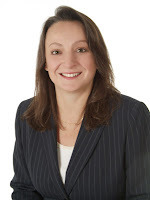 She has also served as General Counsel to the Polish Roman Catholic Union of America, Legal Counsel to the State of Illinois Liquor Commission, and as Legal Analyst for the Clerk of the Circuit Court of Cook County. She was a sole practitioner for seven years. Ms. Smuda is considered to have good legal ability. She is a good practitioner and a “go to” person in her office for advice on legal matters. She has a professional demeanor. Her practice is limited in breadth, but she is considered to be exceptionally knowledgeable in her field. The Council finds her Qualified for the Circuit Court. Judge Kenneth L. Fletcher is "Qualified" for the office of Circuit Court Judge. Judge Fletcher was admitted to practice law in Illinois in 1976 and was appointed to the bench on January 31, 2007. Judge Fletcher is well regarded for his knowledge of the law, judicial ability, and fine temperament. Kenneth L. Fletcher has been practicing law since 1976, and has spent nearly his entire legal career with the Cook County Public Defender’s Office. From 1983 to 1987, however, he entered private practice, where he maintained a general practice. Mr. Fletcher is considered to have good legal ability and over the course of his career, has acquired substantial experience in significant matters, both as a criminal defense attorney and as a supervisor. The Council finds him Qualified. Thomas Francis Biesty is "Qualified" for the office of Circuit Court Judge. Mr. Biesty was admitted to practice law in Illinois in 1990 and currently serves as a Supervisor in the Criminal Division of the State's Attorney’s office. Mr. Biesty has tried complex criminal cases and is well regarded for his fairness, knowledge of the law, and legal experience. State’s Attorney since 1990, and currently supervises Cold Case Homicides. From 2002 to 2004, he was a Special Assistant US Attorney for the Northern District of Illinois. Prior to attending law school, from 1983 to 1988, he was a New York City Police Officer. Mr. Biesty is reported to have good legal ability and temperament. He has had a variety of professional experiences, including substantial litigation experience in complex matters. The Council finds him Qualified to serve in Circuit Court. Diana L. Kenworthy is "Qualified" for the office of Circuit Court Judge. Ms. Kenworthy was admitted to practice law in Illinois in 1995 and concentrates her practice in criminal law. Ms. Kenworthy is well respected for her knowledge of the law, fine temperament, and work ethic. Diana Kenworthy has been a lawyer since 1995. She is currently in private practice doing criminal defense work. She is also a hearing officer with the Water Reclamation District. From 1996 to 2000 she served as a Cook County Assistant Public Defender. Ms. Kenworthy is reported to have good legal ability and temperament. She is praised as a solid practitioner. The Council finds her Qualified for the Circuit Court. John Gerard Mulroe is "Qualified" for the office of Circuit Court Judge. Mr. Mulroe was admitted to practice law in Illinois in 1988 and is an experienced practitioner. Mr. Mulroe is well regarded for his knowledge of the law and has served as an Administrative Law Judge. 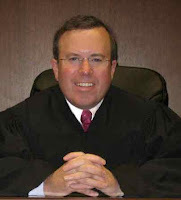 Mr. Mulroe possesses all the requisite qualifications to serve as a Circuit Court Judge. John G. Mulroe has been a lawyer since 1988. Since 1995 he has been a sole practitioner doing civil and criminal litigation. He is also a hearing officer for the Chicago Department of Administrative Hearings. From 1988 to 1994 he served as a Cook County Assistant State’s Attorney. Mr. Mulroe is considered to have good legal ability with a wide range of experience that includes both criminal and civil litigation. Lawyers report that he has a good temperament and he is praised for his diligence and good judgment. The Council finds him Qualified for the Circuit Court. Rosaire M. Hall is "Not Recommended" for the office of Circuit Court Judge. Ms. Hall was admitted to practice law in Illinois in 1995 and currently serves as an Assistant State’s Attorney in the Child Support Division. Ms. Hall is hardworking and dedicated to the legal profession. However, at this stage of her career, she does not possess the requisite depth and breadth of experience to serve as a Circuit Court Judge. Rosaire Marie Hall has been a lawyer since 1995, after having had a career as a chemist. She has been a Cook County Assistant State’s Attorney for her entire legal career, serving most recently in the Consumer Fraud Unit. She has also practiced in the child support enforcement division, prosecuted domestic violence cases, and done traffic and misdemeanor cases. Ms. Hall is considered to be knowledgeable about her areas of law and she has a good temperament. The Council, however, is concerned that in light of her few years of being a lawyer, her practice lacks the depth necessary to be a Circuit Judge. The Council finds her Not Qualified for the Circuit Court at this time. Judge James Edward Snyder is "Qualified" for the office of Circuit Court Judge. 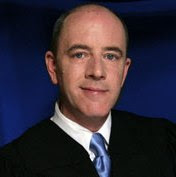 Judge Snyder was admitted to practice law in Illinois in 1988 and was appointed to the bench in 2007. Judge Snyder is currently assigned to the First Municipal District, Civil Division, where he presides over both bench and jury trials. Judge Snyder enjoys his assignment and possesses all the requisite qualifications to continue serving as a Circuit Court Judge. served as General Counsel to the Illinois Human Rights Commission. Between 1994 and 2000, he was a sole practitioner representing small businesses, individuals, nonprofit organizations and local governments. During this time Mr. Snyder served as a Hearing Officer with the City of Chicago and as a City of Chicago Personnel Board Hearing Officer. From 1988 to 1991 he served as a staff attorney for the Chicago Housing Authority, working in forcible entry and detainer courtrooms. Mr. Snyder is described as a hard working, knowledgeable practitioner with a excellent temperament. He has sufficient litigation experience and is reported to have good legal ability. The Council finds him Qualified for the Circuit Court. Ursula Walowski is "Highly Qualified" for the office of Circuit Court Judge. Ms. Walowski was admitted to practice law in Illinois in 1993 and currently serves as an Assistant State's Attorney in the Criminal Division. Ms. Walowski is well respected for her integrity, knowledge of the law, and exceptional trial skills. Cook County State’s Attorney since 1994. Before that she was briefly an attorney for Bank One, for whom she had been an accounting clerk since 1987. Ms. Walowski is considered to have good legal ability and temperament. She has extensive litigation experience and enjoys a reputation of being fair and hard-working. The Council finds her Qualified to serve in the Circuit Court. Gerald Patrick Cleary is “Qualified” for the office of Circuit Court Judge. Mr. Cleary was admitted to practice law in Illinois in 1989 and has extensive civil jury trial experience. Mr. Cleary is well regarded for his knowledge of the law, integrity, and outstanding demeanor and temperament. Gerald Patrick Cleary III has been a lawyer since 1989. 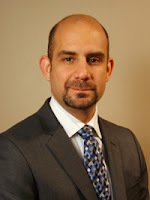 He is currently a partner at SmithAmundsun, doing a variety of civil litigation. He leads the firm’s aerospace practice and also represents municipalities and corporations in civil rights matters. From 1990 to 1997 he was an associate attorney at Query & Harrow doing civil litigation. Mr. Cleary is considered to have good legal ability and an excellent temperament. He is praised for being exceptionally knowledgeable, hard-working, and fair. The Council finds him Qualified for the Circuit Court. Stephen F. Sidlowski is "Not Recommended" for the office of Circuit Court Judge. Mr. Sidlowski was admitted to practice law in Illinois in 1989 and has served as a public guardian and hearing officer in the Juvenile Court. Mr. Sidlowski is currently a researcher in the Chief Judge’s office. While Mr. Sidlowski enjoys a fine reputation, he does not possess the requisite depth and breadth of legal experience to serve as a Circuit Court Judge. Stephen F. Sidlowski has been a lawyer since 1989. He is currently a staff attorney in the Legal Research Division of the Office of the Chief Judge. From 1995 to 2006 he served as a Judicial Hearing Officer in the Child Protection Division. From 1993 to 1995 he was an attorney with the Archdiocese of Chicago and from 1989 to 1993 he served as a Cook County Assistant Public Guardian. Mr. Sidlowski is considered to have good legal ability and temperament. Some respondents in this evaluation, however, said that he is often not punctual and some said that his tardiness is pervasive. The Council is also concerned that he does not have substantial experience in complex matters and he has no jury trial experience. The Council finds him Not Qualified for the Circuit Court. I've almost finished the "organizing the data" posts; I have only the three contests in the 10th Subcircuit yet to do. But this is a blog -- so I can readily add in new information to these posts even after they go up. Voters looking to choose among the candidates should be able to navigate from page two of this blog (the sample ballot page) to organizing the data posts for each race and to any statements offered by the candidates "in their own words." I will be updating endorsements as well in races where the "data" posts are already up. I am pleased to note that traffic here is steadily increasing as we come closer to the primary -- over 320 hits just yesterday on this page -- and, looking at the search arguments that visitors are using, it seems that there some voters are indeed searching the web looking for information about Cook County judicial candidates. Also, every post on this blog can be emailed. I've noticed a number of 'arrivals' here from email accounts. So, for any candidate who hasn't yet submitted a statement "in their own words," I will be pleased to post yours here... but probably not before close of business today. Here's a link to the Tribune story this morning on the contests in the new Kane County subcircuits. Several Illinois counties will have their first subcircuit elections this year. If I have missed a Tribune news story on the primary races for the Cook County Circuit Court, please supply details in the comments. I would be pleased to stand corrected. Courtesy of the Laura J. Morask campaign, news that the Illinois Fraternal Order of Police Labor Council has offered three endorsements in Cook County Judicial races. Laura J. Morask has been endorsed in the 12th Subcircuit Republican primary. On the Democratic side, Ursula Walowski has been endorsed for the Kowalski vacancy in the 10th Subcircuit, while Brian Terrence Sexton is endorsed for the countywide Nowicki vacancy. I do not know which local police departments have contracts with the IFOP Labor Council. I do know that Chicago policemen below the rank of Sergeant are represented by the Fraternal Order of Police, Chicago Lodge No. 7. Lodge No. 7 released its endorsements for the judicial primary in December; here is a link to my December 19, 2007 post on the Chicago FOP endorsements. The Chicago Tribune has announced its endorsements in contested Cook County Circuit court races. The paper's complete editorial is reproduced below -- but, first, an editorial of my own. A free press must be free to write about what it chooses. But I do not understand why the Tribune chooses to provide so little coverage of Cook County Circuit Court elections. The Tribune presumably wants voters to follow the paper's suggestions. But the paper provides at most a sentence or two to support its choices. In subcircuit races, not even a sentence is provided -- only a job title. How persuasive can that be? I believe voters want information about the men and women running for judge; that's why I've been working on this project these past several months. I know the Tribune collected, or attempted to collect, a substantial body of information about each candidate for the Cook County Circuit Court. It's a shame that the Tribune does not think that this information constitutes news. The Tribune offers endorsements today in contested primary elections for the Cook County Circuit Court. In making these endorsements, the Tribune relies on evaluations from state and county bar associations, information provided by the candidates and the advice of lawyers, judges and others who are familiar with the candidates and their work. These are Democratic primary races, unless otherwise noted. (Disko vacancy) Judge Dennis J. Burke was appointed to the Circuit Court last year and is widely respected for his fairness, preparation and legal ability. He was found "highly qualified" by the Chicago Bar Association. Burke is endorsed, though he has an excellent opponent: Judge Lauretta Higgins Wolfson, who was appointed to the bench in 2006. (Glowacki vacancy) Judge Jesse G. Reyes has been on the bench since 1997. A past president of the Illinois Judges Association, he has been an ambassador for the courts. He wins praise for his courtroom management skills. Reyes is endorsed over a good opponent, Terry MacCarthy, a supervisor in the Cook County public defender's office. (Healy vacancy) Judge Maureen Ward Kirby, appointed to the bench in October, is an easy choice over attorney Peter John Curielli, who didn't cooperate with evaluations by the major bar groups and didn't submit his qualifications to the Tribune. (Keehan vacancy) Judge Marilyn F. Johnson serves in Juvenile Court and "has distinguished herself in handling a difficult call," says the Chicago Bar Association. She was the first woman and first African-American to head a division in the city's law department. She is strongly endorsed over attorney Joseph Robert Papavero, who dodged the major bar groups and the Tribune. (Lott vacancy) There are two quality candidates here. Thomas J. Byrne, a supervisor in the state's attorney's office, knows the law well, and is hard-working and well-prepared. He is also considered smart, balanced and compassionate. He is endorsed over Joanne Marie "Jody" Rogers, although she also impresses as a very competent, diligent lawyer with an excellent temperament. (Montelione vacancy) Attorney Debra B. Walker, a former president of the Women's Bar Association, has impressed many judges with her hard work and intelligence. She has the makings of a fine judge and is endorsed. She's running against Thaddeus L. Wilson, who was appointed to the bench last year and is also an impressive candidate. Thomas A. Doran, senior counsel in Chicago's law department, also is on the ballot. 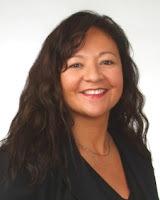 (Murphy vacancy) Paula M. Lingo, chief legal counsel for the Cook County Recorder of Deeds, is endorsed over attorneys Kristyna Colleen Ryan and Frank James Ryan. (Nowicki vacancy) This is an exceptionally talented field. The best of four candidates: Judge Michael B. Hyman, a former president of the Chicago Bar Association, who is known for high integrity, experience and fairness. The other candidates -- Assistant State's Attys. Brian Terrence Sexton and John "Jack" Murphy, and attorney Kim R. Kardas -- also are impressive. (Thomas vacancy) Judge Joan Powell has done an excellent job since she joined the bench in 2006. She is endorsed over attorneys E. Madeline O'Neill and David John Mulvihill, and Patrick Dennis Riley, an administrative law officer for the city. Cook County is divided into 15 subcircuits for the election of judges. The following endorsements are in contested primary races. 1st (Turkington vacancy) Donna L. Cooper, an attorney and former assistant corporation counsel for the city. 4th (Shultz vacancy) In the Democratic primary, Pat Rogers, a private attorney and the Lyons Township supervisor. In the Republican primary, Maureen H. Masterson-Pulia, an arbitrator for the Illinois Workers Compensation Commission. 5th (Bush vacancy) Judge Furmin D. Sessoms. 5th (Additional judgeship A) Attorney Stephen Stern. 6th (Figueroa vacancy) Judge Laura Bertucci Smith. 7th (Young vacancy) Judge Anita Rivkin-Carothers. 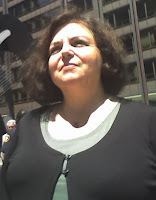 8th (Sheehan vacancy) Ann Collins Dole, an assistant corporation counsel for the City of Chicago. 10th (Kowalski vacancy) Assistant State's Atty. Ursula Walowski. 10th (Morrissey vacancy) Attorney John G. Mulroe. 10th (Pucinski vacancy) Assistant State's Atty. Thomas Francis Biesty. 12th (Devlin vacancy) In the Democratic primary, Judge Thomas R. Mulroy. Two candidates are running in the Republican primary, Laura J. Morask and Michaela Nolan Ryan. There are concerns about the qualifications of both candidates and the Tribune makes no endorsement. 13th (Ryan vacancy) In the Democratic primary, Joe Gump, an assistant public defender. In the Republican primary, Assistant State's Atty. Paul S. Pavlus. 13th (Tobin vacancy) In the Democratic primary, Gary G. Stanton, a public defender. In the Republican primary, Judge Margarita Kulys Hoffman. 15th (Additional judgeship A) In the Democratic primary, Assistant State's Atty. Anna Helen Demacopoulos. In the Republican primary, attorney Peter Fera. I will include the Tribune's endorsements in the Organizing the Data posts yet to go up and, in the next couple of days, I will be revising the Organizing posts already up to include this information. Ann Elizabeth Collins-Dole is “Highly Qualified” for the office of Circuit Court Judge. Ms. Collins-Dole was admitted to practice law in Illinois in 1990. She is knowledgeable, hardworking, dedicated to the law, and possesses all the requisite qualities to serve as a Circuit Court Judge. Corporation Counsel, Torts Division for the City of Chicago since 2002. Ms. Collins-Dole is considered to have very good legal ability with extensive legal experience in sophisticated and complex matters. She has a good temperament, is professional in her demeanor, and treats opposing counsel with respect. She is reported to be a model practitioner. The Council finds her Well Qualified for the Circuit Court. Judge James A. Shapiro is "Qualified" for the office of Circuit Court Judge. 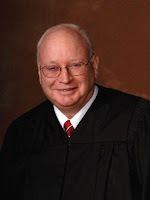 Judge Shapiro was admitted to practice law in Illinois in 1985 and practiced law for 22 years before his appointment to the bench on August 31, 2007. Judge Shapiro is well regarded for his integrity and fine judicial temperament. However, he needs to work on his punctuality. Hon. James A. Shapiro has been a lawyer since 1985 and was appointed to the bench by the Illinois Supreme Court in August 2007. From 1996 to 2007 he was in private practice focusing on criminal defense in both state and federal courts. From 1989 to 1995 he served as an Assistant United States Attorney prosecuting gun, drug, public corruption and fraud cases, as well as defending Federal Tort Claims Act and employment discrimination cases. From 1985 to 1989 he was in private practice working on employment discrimination cases. He is an adjunct professor at the John Marshall law school, and he has an impressive record of community service. He has experience in both the state and federal courts and in both criminal and civil litigation matters. The Council finds him Qualified for the Circuit Court. Debra Kramer Marcus is "Qualified" for the office of Circuit Court Judge. Ms. Marcus was admitted to practice law in Illinois in 1981 and is experienced in both civil and appellate law. Ms. Marcus possesses all the requisite qualifications to serve as a Circuit Court Judge. handling personal injury litigation with Pappas Jacoby & Marcus. For four years prior to that, she was an associate with Cassiday Schade & Gloor. During her 25 years in practice, Ms. Marcus has focused primarily upon personal injury litigation (for both plaintiffs and defendants), and she has had substantial litigation and trial experience in that area. She is reported to have good legal ability and temperament. The Council finds Ms. Marcus qualified to serve in the Circuit Court. Judge Daniel T. Gillespie is "Qualified" for the office of Circuit Court Judge. Judge Gillespie was admitted to practice law in Illinois in 1978 and was appointed an Associate Judge in 1988. Judge Gillespie is well versed in both civil and criminal law. Judge Gillespie is hard working and highly respected for his knowledge of the law, integrity and outstanding temperament. Daniel T. Gillespie has been a lawyer since 1978. He has served as an Associate Judge since 1988, and is currently assigned to the First Municipal District. Before taking the bench he served as a Cook County Assistant Public Defender and an Assistant State’s Attorney. He is a former Illinois Assistant Attorney General. He teaches trial advocacy at Loyola University law school. Judge Gillespie is considered to have good legal ability and is praised for his temperament and his courtroom management skills. He is reportedly hard-working and wellprepared. The Council finds him Qualified for Circuit Court. James Byrne is "Qualified" for the office of Circuit Court Judge. Mr. Byrne was admitted to practice law in Illinois in 1989. Mr. Byrne is an experienced practitioner and possesses all the requisite qualifications to serve as a Circuit Court Judge. James L. Byrne has been a lawyer since 1989. He has been in private practice representing both plaintiffs and defendants in insurance defense litigation. He has also represented Chicago police officers during Internal Affairs investigations and has handled misdemeanor criminal law matters. Mr. Byrne is considered to have good legal ability and temperament. He has extensive trial experience and is praised by practitioners as being hardworking. The Council finds him Qualified for the Circuit Court. Aaron J. Weiss is "Qualified" for the office of Circuit Court Judge. Mr. Weiss was admitted to practice law in Illinois in 1993 and has served as an Assistant Cook County Public Guardian for nearly 13 years. Mr. Weiss is a supervising attorney in the Juvenile Neglect and Dependency Division of the Public Guardian's office and is well regarded for his legal knowledge, outstanding temperament, and dedication to the law. Mr. Weiss possesses all the requisite qualifications to serve as a Circuit Court Judge. Aaron J. Weiss has been a lawyer since 1993. He serves as a Lead Attorney in the Office of the Cook County Public Guardian and has been with this office since 1995. He holds a supervisory position while maintaining a caseload of 600. He has no jury trial experience but has been lead counsel on a substantial number of bench trials. He is considered to have good legal ability and is praised for his diligence and his temperament. He is reported to have good supervisory skills. While his practice lacks breadth, he has excelled in his area of law. The Council finds him Qualified for the Circuit Court. Gideon A. Baum is “Not Recommended” for the office of Associate Judge. Mr. Baum was admitted to practice law in Illinois in 1992. Mr. Baum is currently assigned to the Child Enforcement Division in the State’s Attorney’s office. At this stage of his career, Mr. Baum does not possess the requisite depth and breadth of legal experience to serve as an Associate Judge. The CBA explains in a footnote that, pursuant to Section 27.4 of the JEC Resolutions and Procedures, a candidate who has been evaluated and found "NOT RECOMMENDED" for the office of Associate Judge and who shall within two years of such a finding be a candidate for Circuit Judge shall be found "NOT RECOMMENDED" without hearing. Gideon A. Baum was admitted to practice in 1992. He has been an Assistant Cook County State’s Attorney in the Child Support Division since 1998. From 1994 to 1998, he was Legal Counsel and Analyst for the Judiciary and Executive Committees for the Illinois Senate Democratic Staff. Before that, he spent one year as a solo general practitioner. In 1992, 2002 and 2004, he managed campaigns for candidates for state legislature. Mr. Baum is reported to have good legal ability and temperament. The Council is concerned, however, that he lacks sufficient experience in complex litigation matters. His practice lacks the necessary depth and breadth of experience. The Council finds him Not Qualified to serve in the Circuit Court.